Winter's coming, LOL. I had such fun painting the church I go to a couple weeks ago that I felt like I wanted to paint it again from a different angle, and found this photo I had taken a few years ago when we had a big blizzard and I took a brief walk around to see how things looked in town. 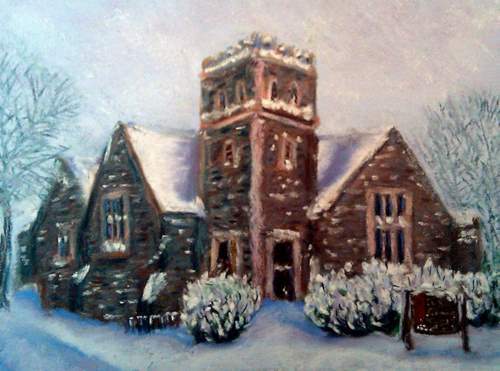 The church looked lovely in the snow, so I decided that would make a great painting too. This was done on 9x12 Art Spectrum.